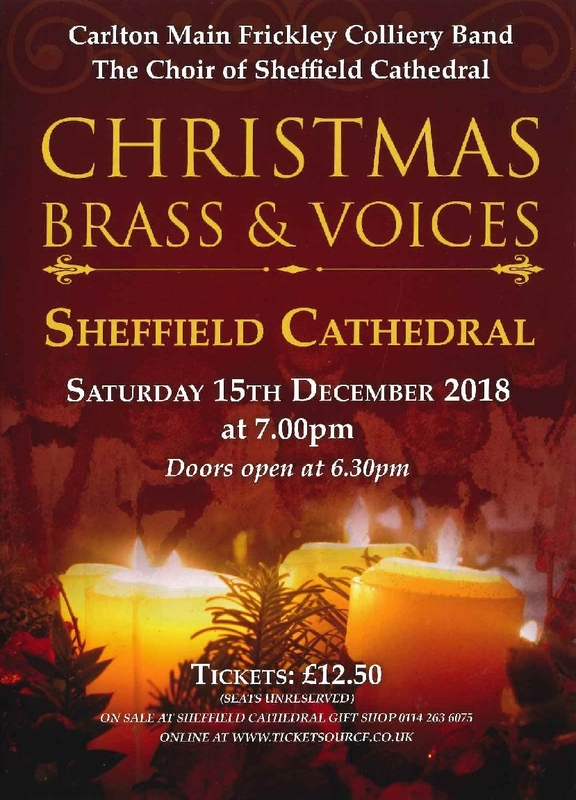 Hear the Carlton Main Frickley Colliery Band and the choir of Sheffield Cathedral at the ever popular Brass and Voices concert. Join us for an evening of festive music and popular carols! Tickets are £12.50 each and are available from the Cathedral Gift Shop and online from Ticketsource. Please note that seats are unreserved.